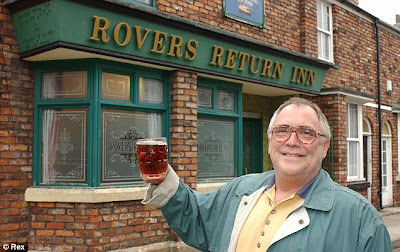 Coronation Street actor Bill Tarmey, who played Jack Duckworth in the soap, has died. The actor, who was 71, passed away in Tenerife on Friday morning. He is survived by wife Alma, son Carl and daughter Sara. A statement from the family of the actor read: 'The family of Bill Tarmey have confirmed that he sadly passed away this morning in Tenerife. 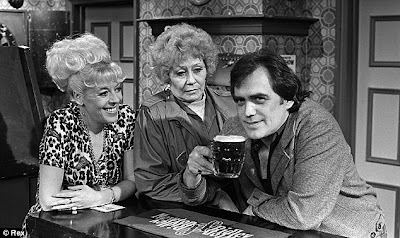 And a statement from ITV soap Coronation Street read: 'The cast, crew and production team at Coronation Street are devastated to hear of Bill's death. A life-long heavy smoker, Tarmey suffered from ailing health over the years. He had a heart attack in 1976, followed by a stroke in 1977, and underwent a quintuple heart bypass in 1986. Speaking about his illness following a second heart attack in 2002, which saw him fitted with a pacemaker afterwards, Tarmey said: 'I'm deeply worried. 'I have cheated death so many times I feel like a cat running out of lives. Tarmey also long refused to give up smoking, saying in one interview: 'I could make it easier on myself. I could give up smoking. I could go and sit in a rocking chair. 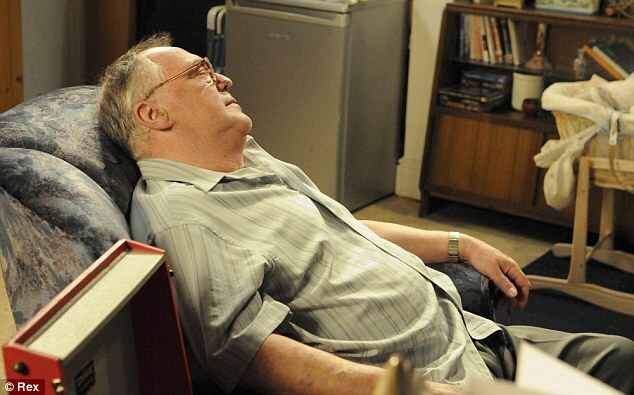 Tarmey quit Coronation Street in April 2010 to spend more time with his family, after 30 years playing Duckworth. 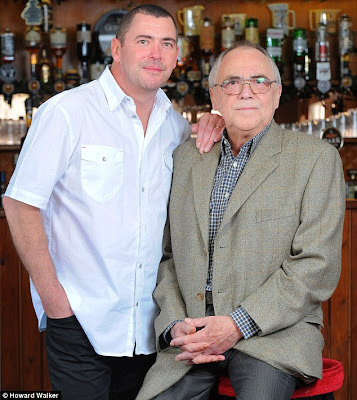 His decision to leave also came as his son Carl is battling a life-threatening brain tumour. Tarmey said: 'You would have had to drag me kicking and screaming from the Street. His final scenes in the show saw Jack dying peacefully in his armchair at No.9 Coronation Street after attending his 74th birthday party at the Rovers Return pub. 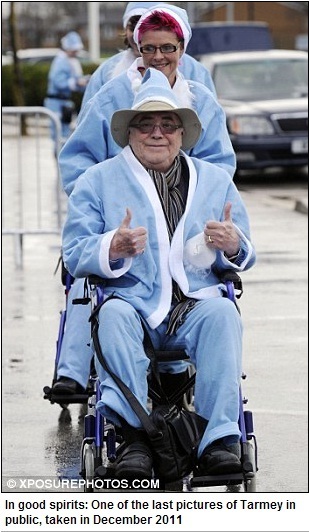 He said at the time: 'People often ask me if I like Jack Duckworth and I always reply, "Like him, I bloody love him!" I have had the most amazing 30 years playing Jack. Tarmey was born in Ashton-under-Lyne on April 4 1941, and was just three years old when his ambulance driver father, William Snr, was killed by shellfire as he ferried casualties to a field hospital in Uden, Holland. 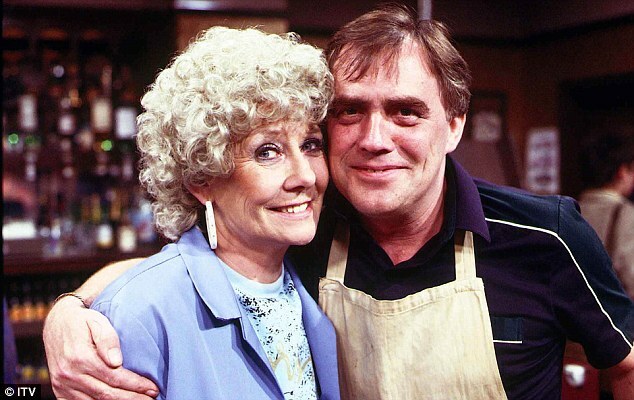 The family grew up with little money and Tarmey left school to enter the building trade. 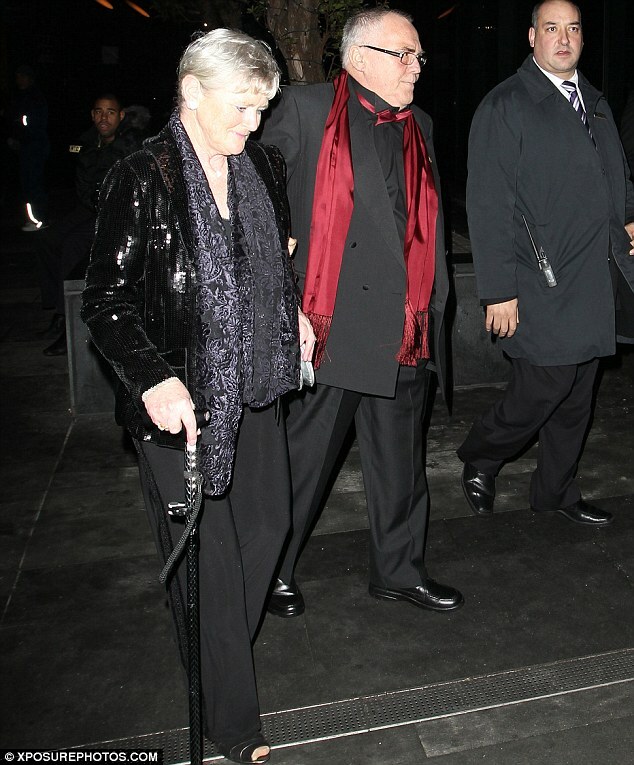 He married his childhood sweetheart Alison - to whom he remained married for 50 years - and they had two children. Before joining Coronation Street, he struggled to make ends meet and said one incident involving his young son brought home to him the importance of money. The little boy came home upset one day because he had been dropped from his football team. Tarmey recalled: 'I couldn't understand it and went to see the trainer, who told me he had been dropped because he wouldn't take goal kicks. 'His football boots were too small, but he was too afraid to tell me because he knew I couldn't afford a new pair. 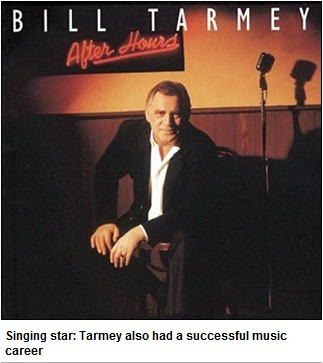 Despite his TV fame, music remained Tarmey's first love and over the years he released a host of cover versions and big band numbers.